Ashtopus technologies provide real time monitoring and tracking school bus during transit. 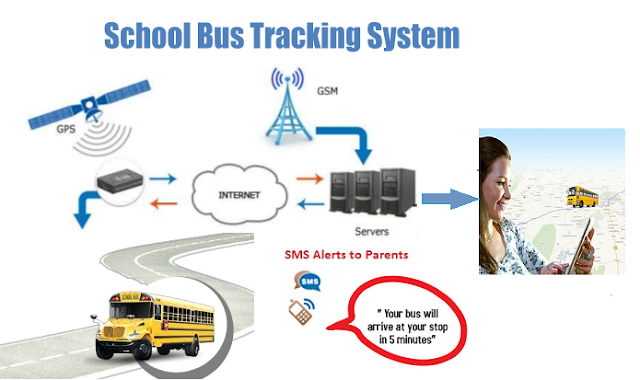 Today, use of the GPS and RFID enabled school bus tracking system for children protections reduced incidences of crimes. Basically it is for school management and parents they enjoy peace of mind when it comes to safety of the students while on the move.We have advance technique continuous tracking and positioning of the school vehicle is easy with GPS enabled buses and RFID tracking system carried by students embed in their identity cards..
Parents today prefer sending their children to schools that assure safety of the students at the school premise and while on the move in school buses and cabs. They can follow their children’s movements with the touch of a button on their Smartphone’s. Tracks and monitors all school vehicles in real-time . School management gets instant alerts when the school vehicle enters a no-go zone or when drivers are involved in unsafe, speedy driving. Auto storing of real time data for analysis on demand.